I have just collected my keys last week and engaged a FSM came to view my flat. One of the point he brought up is that when I open my Master bedroom toilet..the toilet bowl is facing directly at me. He says is the worst part as the place is where the spirits escape. Hence, he suggest to change the direction of toilet bowl or the door. Anyone heard of this and is there any other ways to avoid it? yes, this is the worst kind of toilet in the world. keep door closed at all times, put a auto door closer. or have cabinets infront to cover the toilet door. Keep the door close at all times. Is Your bed besides the toilet? Hi Mace, vowsh..tks for ur replies. My bed is not beside/directly opp the toilet. Is going to be on the opp wall..more to the side..draw a rough picture how it looks like..not according to scale..
Will closing the door helps? Or the best way is really to change the position of the door? cause i think change position of toilet is impossible !! Lucky your bed not facing or beside the toilet entrance. Should be ok leh but don't know why your fsm say needs to change the bowl position. Call him if can put sometig inside the minimize the effect. my toilet door is facing the bowl too. most houses have design like this. as long when u lie on the bed u do not see the toilet, that should be ok. after all, one does not spend that much time in the toilet. I installed door closer to keep the door closed at all times. even the bowl cover also closed. Ya...actually my MBR toilet also like tat.....not most designs of the hse is like tat meh??? Bt I do keep the door closed at all times....hmmm, anyway to remedy this kinda situation? only some newer flats are like that. hi hi, may i know what door closer are you guys talking about? anyone has any pic to share? where can I buy the door closer? my master toilet also facing my bed. but not direct facing. is diagonally facing but i still close the door at night every night we sleep. automatic door closer - those you see in offices. a metal block with an arm. sori, still dun really get what u meant... i abit 'mountain-tortoise' lah anyone has any pics to share? u mean i can get it from those home-fix store is it? 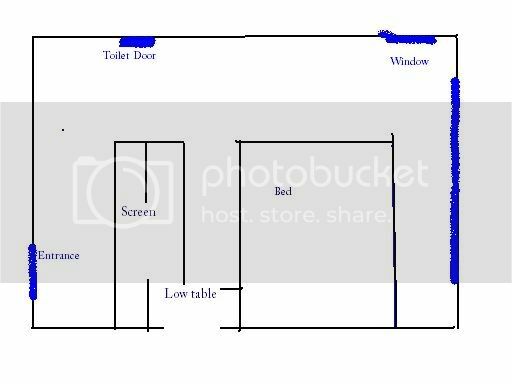 can the door closer be used for those bi-fold toilet door? since yr door is bi-fold, cannot install door closer unless u change to wooden door. hi hi, thanks for the pics! now i know what is door closer liao... but too bad dun think bi-fold door can install this. Looks like i gotta closed the toilet door at all times!! but my hubby always forgotten to close it everytime he's done in the toilet! !